I've been connecting with people and ideas via Linkedin, Twitter and Facebook for the past 10 years. 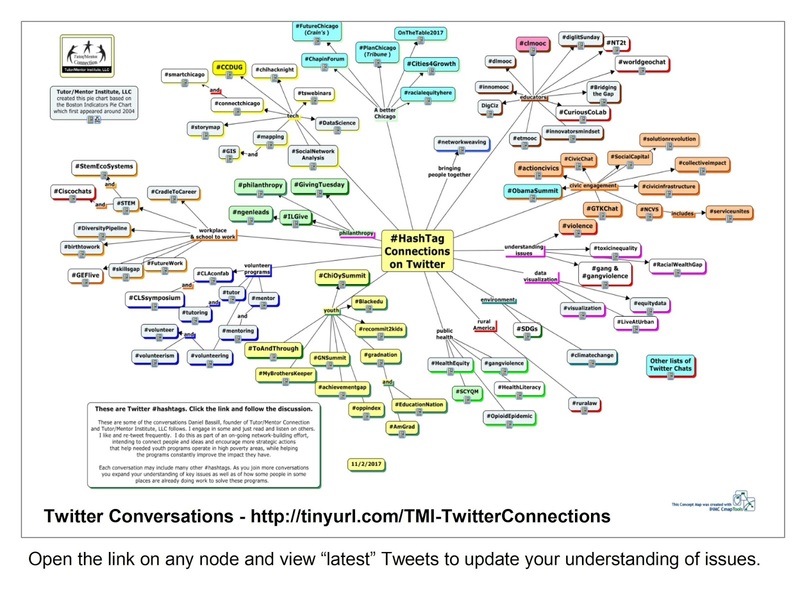 I currently find Twitter chats more valuable than either other platform so I created this hashtag concept map so others could connect via the same groups I've found. The course content will remain on line for at least one year, in archive format, but without the chatter on Twitter, I'm not certain how many more people will find the information, read it, and engage with others. Furthermore, after a year all of this may disappear. The problems we focus on will extend much longer than that. I've been building a web library for the past 20 years (which before that was a paper-based library hosted at my office in Chicago). 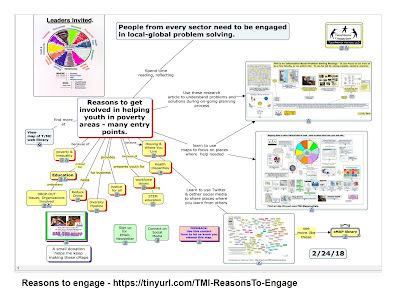 If you view tweets I've posted about #tutor #mentor and #learning, you'll see that I point to this regularly, as a resource for anyone in the world who wants to get involved in reducing poverty, which includes building and sustaining non-school tutor, mentor and learning programs that reach k-12 youth in every high poverty neighborhood of Chicago and any other city. I created the cMap shown below today to illustrate the need to archive information and keep it available for decades and to motivate growing numbers of people to spend time learning from the library to support ways they use their own time, talent, dollars and civic engagement, where ever they live, or in what ever issue they focus on. Yesterday I attended a lunch event at the Chicago Hyatt Regency in Chicago, along with at least 300 others. I sat between the General Consul from Japan and the General Consul from South Korea. We listened to Senator Tammy Duckworth describe 21st century threats and opportunities. As I listened I tweeted out a wish that all these people were connected and engaged via Twitter chats and other social media platforms, the way I've been growing my engagements. Furthermore, I hoped that more and more of the on-line interactions would point to reading material and videos the way the #engageMOOC course has been doing. 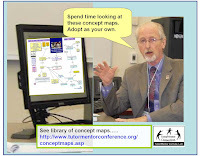 The Tutor/Mentor Connection (T/MC) is an "information based 4-part problem solving strategy, visualized in the cmap at the right, and in this article. 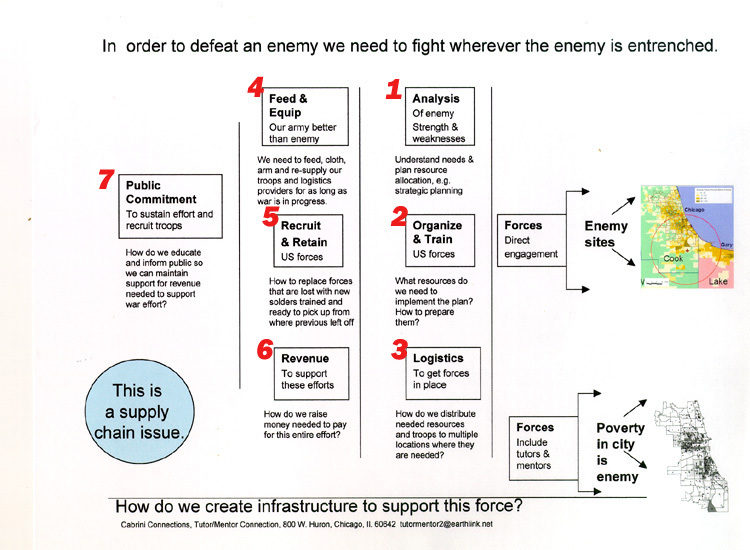 It uses information to support decisions and actions, including the flow of resources into high poverty areas. I hope that my conversations on-line and with people I sit next to at lunch will lead them to look at what I'm writing, and will lead them to engage youth as intermediaries, like myself, in bringing more people to on-line forums and on-line libraries. The video below is an example of what's possible. It was created by an intern from South Korea and it shows work that previous interns did when they were working with me. This is one of many visualizations created by interns between 2005 and 2015. On this page you can see a list of interns who have worked with my organization, and the universities they came from. I've been reaching out to universities since starting the Tutor/Mentor Connection (T/MC) in 1993, with a request for shared ownership that involves students, faculty and alumni. While I've been fortunate to have many interns take short term roles, up to one year, I've not been able to embed a Tutor/Mentor Connection/Institute program on any campus, where it shares the goal of the university and many different departments of the university, as well of many different alumni. I've never been able to bring money to the table, thus my ideas get polite nods and "go find a younger professor" suggestions. Many of the people who I'm meeting in on-line communities come from high schools and higher education. Here's an article where I invite universities to form an on-campus program that duplicates what I've been trying to do, and does it better, and for many more years into the future. I think this could be happening at the high school level, too. 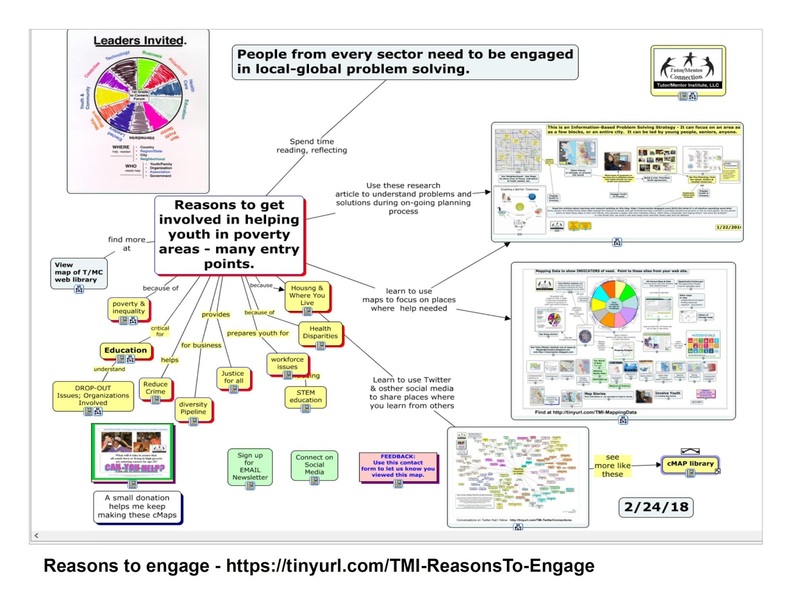 At some point in the future a #clmooc that I point to should be one where students and alumni from different universities, in different countries, are sharing work they've been doing to learn what I've been trying to do and to apply those ideas to help reduce poverty in their own communities. Interested? Connect with me @tutormentorteam on Twitter or on Linkedin or Facebook. Or introduce yourself with a comment on this article. I've been participating in various cMOOCs since 2011 and wrote about them here, here and here. I'm fascinated by their potential for bringing people together in ways that's not possible face-to-face. I've wanted to build this capacity into the Tutor/Mentor Connection for more than 15 years. 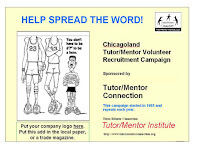 I and six other volunteers created the Tutor/Mentor Connection in 1993 to "gather and organize all that is known about successful non-school tutoring/mentoring programs and apply that knowledge to expand the availability and enhance the effectiveness of these services to children throughout the Chicago region." 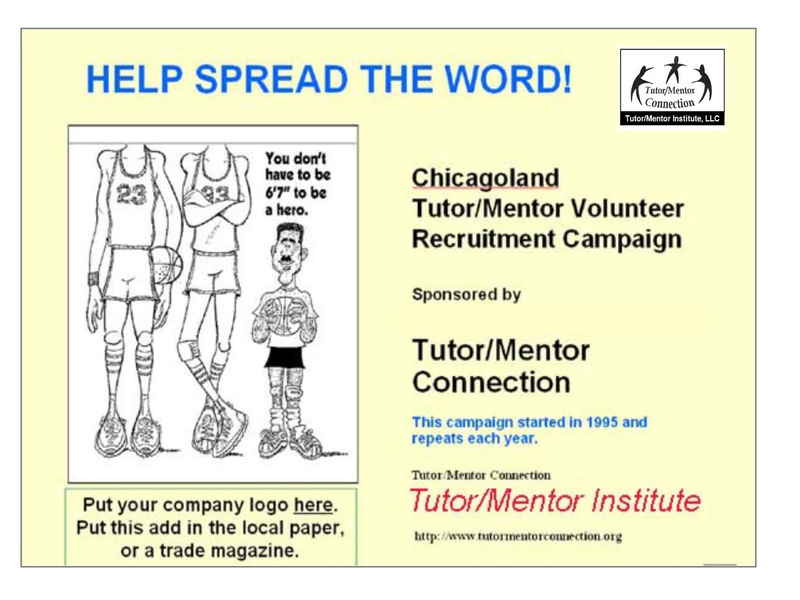 I'd been leading a tutor/mentor program in Chicago since 1975 when we formed the T/MC. So I already had an extensive database of other programs in Chicago, as well as of foundations, businesses, volunteers and media. We did our research and planning, and developed a 4-part strategy in 1993. 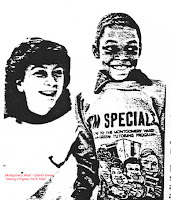 Then, we launched our first Chicago tutor/mentor program survey in January 1994 to systematically learn who else was offering non-school tutor and/or mentor services. 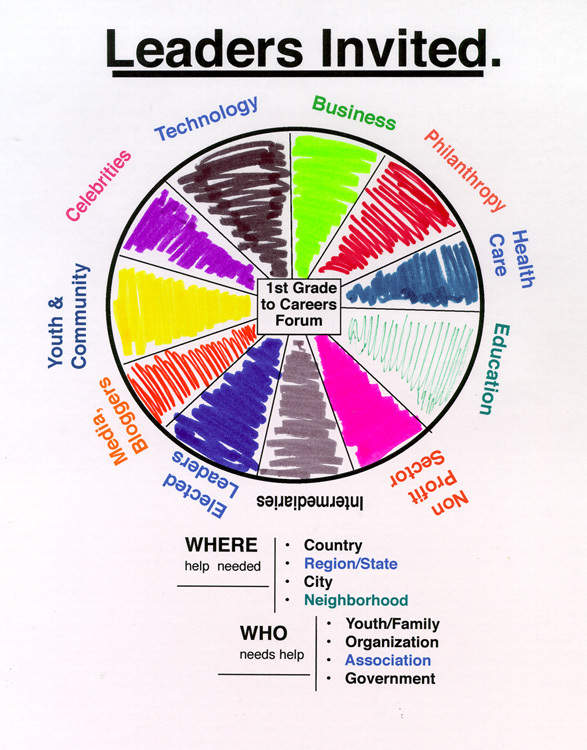 As we started reaching out to learn about programs we began sharing what we were learning with other programs, and with resource providers and other stakeholders, via printed newsletters. 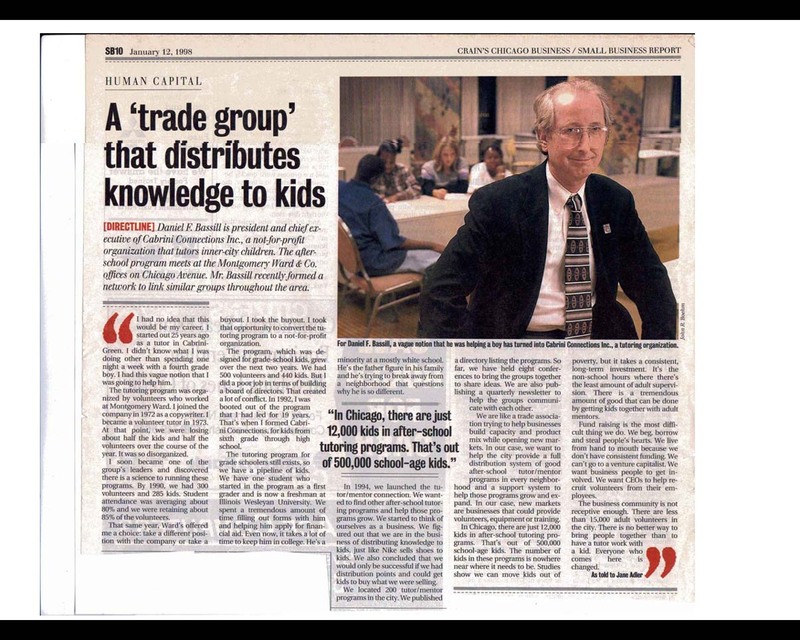 We began drawing stakeholders together to share and learn from each other via organized conferences in May 1994 and started organizing an annual Aug/Sept Chicagoland Tutor/Mentor Volunteer Recruitment Campaign in 1995. You can view the goals of the conference here. See recruitment campaign history here. 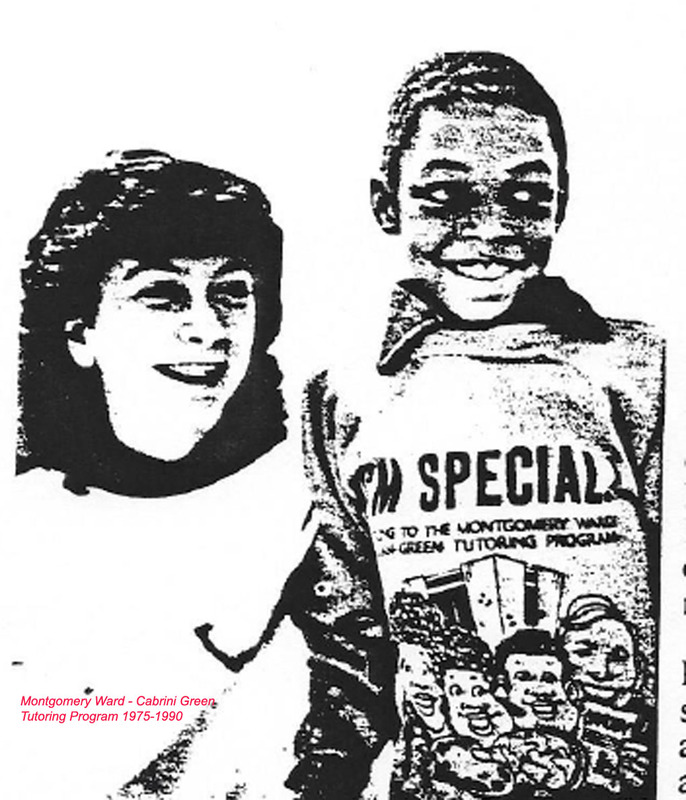 We began sharing our list of Chicago tutor/mentor programs in a printed directory in 1994, but never circulated more than 500 copies a year. As we put our library on line in 1998, we also put our list of programs on line. 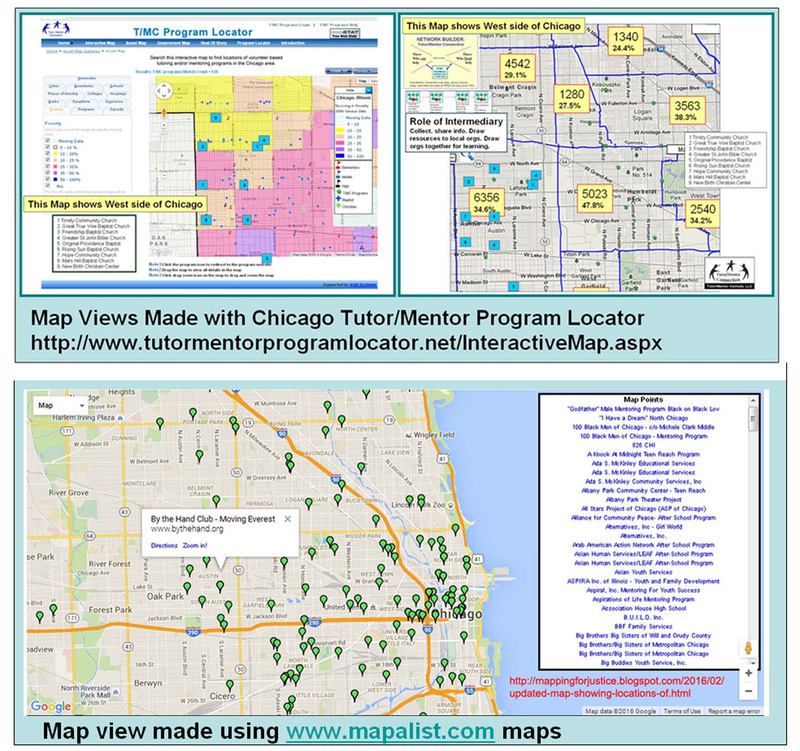 In 2004 we were able to launch an on-line portal where people could search for information about Chicago area tutor and mentor programs by zip code, type of program and age group served. In 2008 we launched a map based version of this. With the maps we could show all the places where programs were needed, as well as what places already had service from existing programs. Thus, our conversations were focused on a) helping existing programs get a more consistent flow of resources needed to constantly improve, while b) helping new program start where more are needed, borrowing ideas from existing programs, rather than starting from scratch. The conferences and annual recruiting events we organized helped us generate a flow of print news stories, drawing attention to tutor/mentor programs throughout Chicago, not just to our own program. While we stopped our printed newsletter in 2002 we've been sending email newsletters every month since 2000. With our maps we crated map-stories following negative news, in an effort to draw more attention and resources to neighborhoods where help was needed. 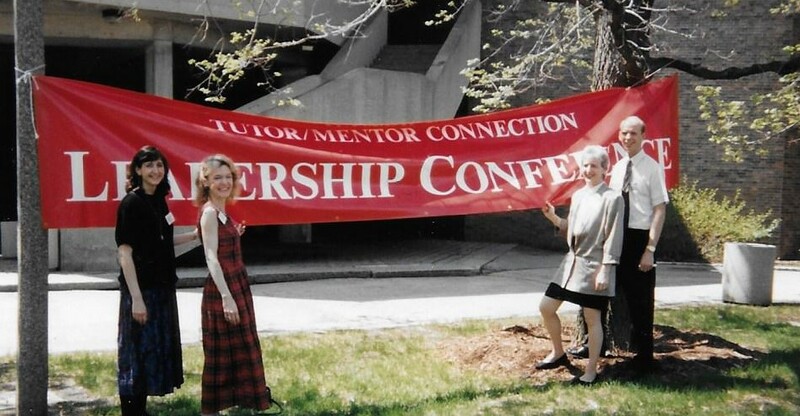 While we hosted Tutor/Mentor conferences for 20 years, the goals never changed. However, we were only reaching a small fraction of those in Chicago who needed to be involved in building and sustaining mentor-rich programs in all high poverty neighborhoods. And even when we had 250 to 300 people at a 2-day conference, we and every other participant could only really talk and engage with a few other participants. Even in small groups of 10 to 20 people only a few people were able to share much from their own depth of experiences. It was almost impossible to get all of those who need to be involved into the same space, and keep them coming back, month after month and year after year. In addition, we were not getting participation from business, foundations, media, political leaders and many others who need to be engaged in efforts to fill city neighborhoods with great programs helping kids move safely from birth to work. Thus when the Internet became available as an on-line library and meeting place in the late 1990s, I fully embraced this potential. We held our first on-line conference in 2004 with the aid of IUPUI in Indianapolis. 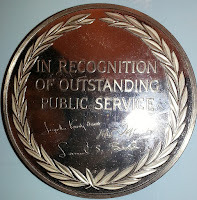 I've been sharing information on web sites since 1998 and on blogs since 2005. I've been on Facebook, Twitter and LinkedIn since the late 2000s. 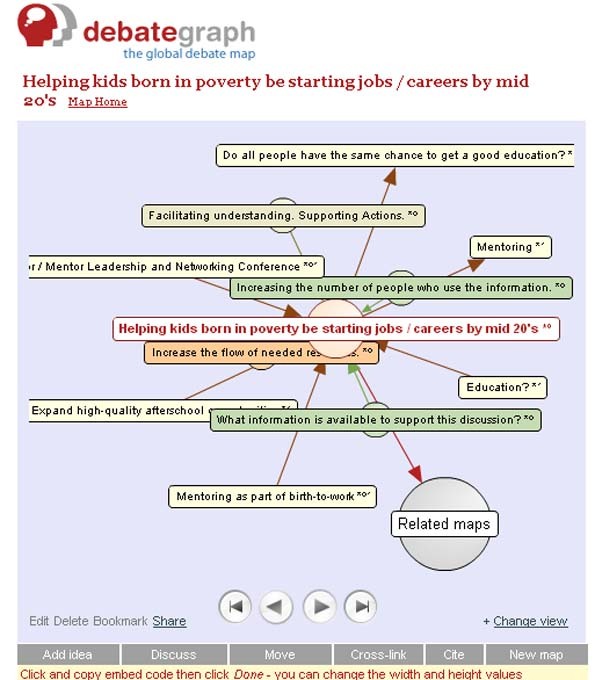 In 2011 I created a "Mentoring Kids to Careers" discussion outline on Debategraph's platform (see graphic at left). As I participate in cMOOCs, I look at the structure and how they are organized. I created a sub section of the Tutor/Mentor library that others can use to learn about cMOOCs and that I can refer back to when describing them to others. 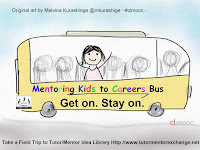 As I share ideas on Twitter, using the #engageMOOC or the #clmooc hashtag, I'm also using #tutor #mentor to connect organizations I network with to people throughout the world. As I do this I'm also envisioning an #engageTutorMentorMOOC or a #Tutor/MentorCLMOOC or a Tutor/Mentor Google+ community (similar to this CLMOOC group) where we're connecting all those who need to be involved in building and sustaining constantly improving tutor, mentor and learning programs in on-going on-line learning, conversation, brainstorming, training and resource development. I've used cMaps to visualize "all who need to be involved". This map shows skills and talents. A similar map shows networks that need to be involved. A social network analysis map of participation could put names of people in each of these nodes and help us understand "who is participating, and who's missing". Another cMap visualizes "who needs to be involved" under the "It takes a village" heading. In another cMap I show how information we were collected was intended to support the learning of many different groups of stakeholders. 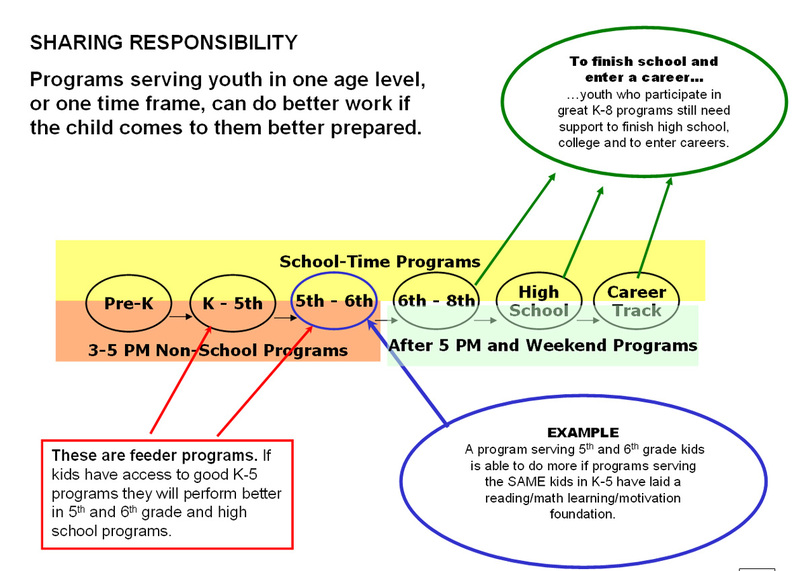 ....all with the goal of filling high poverty areas with needed programs and services that help kids move safely through school and into adult lives, jobs and careers (see strategy map). As I was writing this article my #engageMOOC feed included the response shown below response to one of my Tweets. 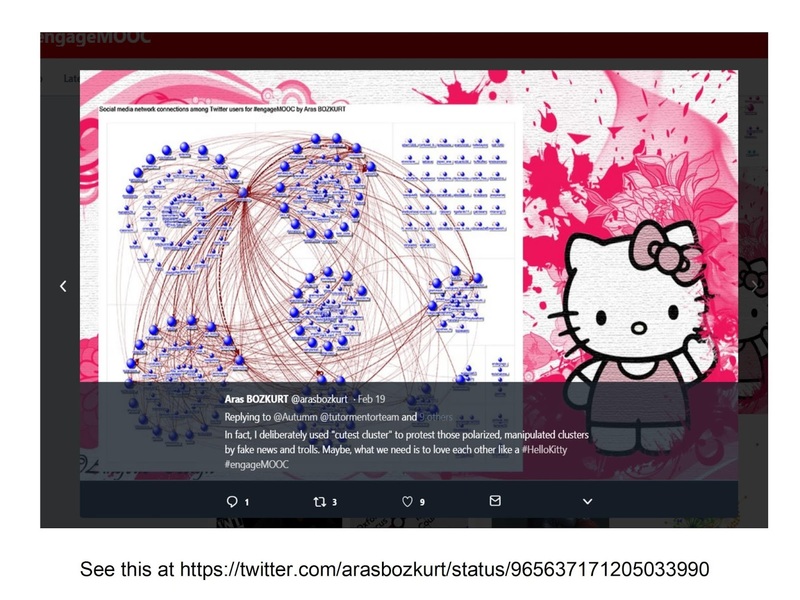 I was asking for examples of using network analysis tools to understand participation in conferences or organized Twitter events. The links provided pointed to two fascinating articles on the #ScotPublicHealth blog. Click the links. You can read the articles yourself. 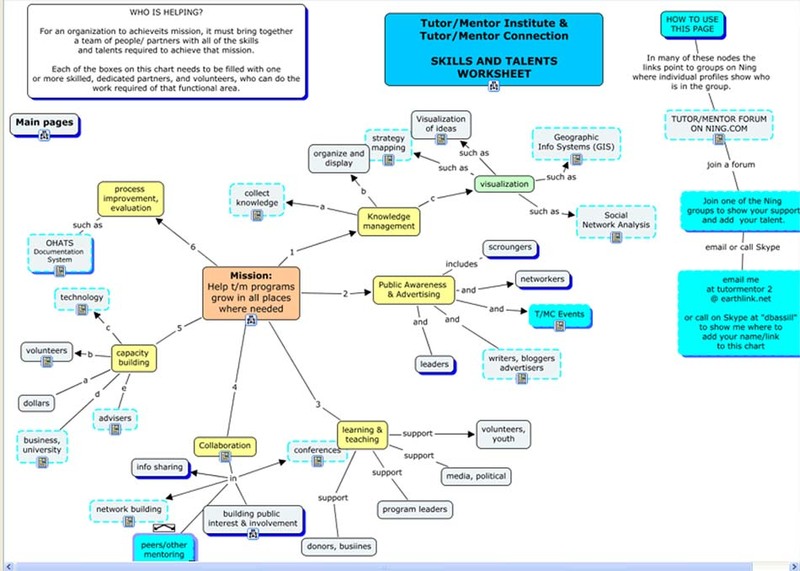 I'm adding this link to the Tutor/Mentor web library so that I and others who want to build an on-line engagement connecting people and organizations in the youth development, tutor, mentor, education, etc. ecosystem, can learn from this model. However, by putting the link in my library and posting it here and re-tweeting it, anyone else can find and use this information to do better work in their own problem solving efforts. If you've read this far, thank you! I hope you'll visit some of the links and build your own understanding of the different cMOOCs and Twitter chats I've pointed to. I hope you understand how this supports my own on-going learning and efforts to do "better today than I was able to do yesterday". 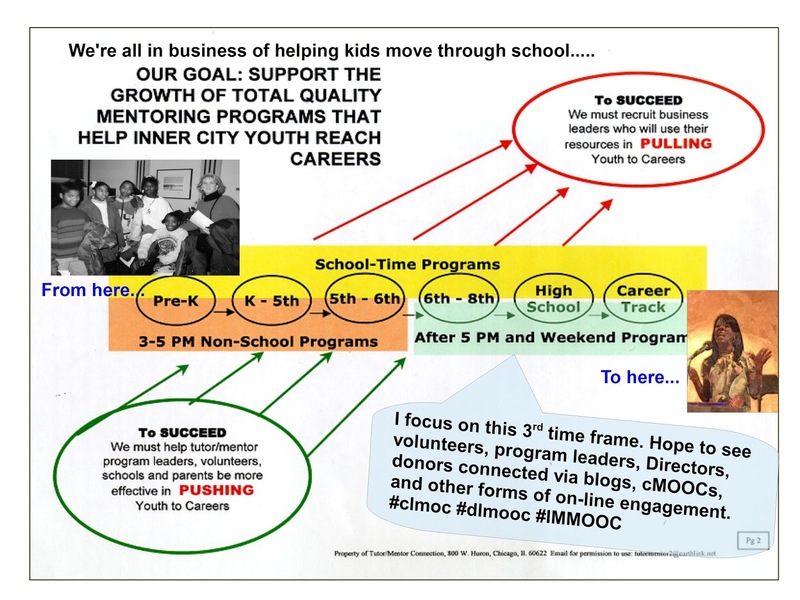 I don't yet see this type of on-line engagement connecting the ecosystem of youth tutor/mentor and learning programs and the businesses, foundations, policy makers and others who need to support the growth of such programs. If you'd like to help make such a community a reality, let's connect. I've been using the Internet to collect and share ideas since the mid 1990s. 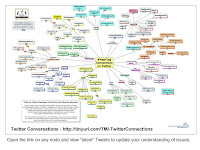 I created the cMap at the left to show some of the Twitter conversations I follow, where I learn, share and connect with others. This week in the #nt2t (New Teachers to Twitter) and #EngageMOOC (Engagement in a time of Polarization) chats, it was reinforced that unless you spend time in these groups, you won't build a comfort level and the learning that is available to you. I offered that "time" is measured in years, not in hours per day. Another group I've followed since 2012 is the #clmooc (connected learning). As a result I have begun to follow blog articles of a few people I've met, such as Kevin Hodgson, a middle school teacher in Western Massachusetts. 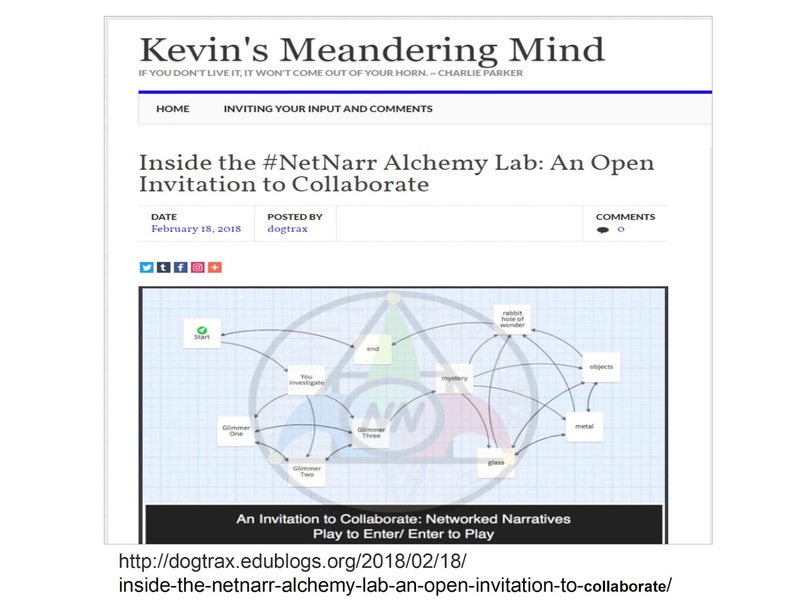 At the right is a screen shot I took from an article Kevin posted this week, with an open invitation for readers to join the #NetNarr Alchemy Lab . Keven writes "the first step is to play the invitation". I did, and I hope you will, too. Just before reading Kevin's article I browsed my LinkedIn page and saw this article about the United Nation's Sustainable Global Development Goals. I followed the link to this page, which describes some of the challenges we're facing to reach the 17 UN SDG goals by 2030. The screen shot at the left shows the web site where these challenges are visualized. The first one is that too few people actually know about the SDGs. Now, if you look at the #clmooc home page, and view past articles I've written about #clmooc and #moocs, you'll see that I've been trying to nudge them to devote some of their creative projects to communicating ideas and strategies I've been creating since 1990s, via their own visualizations and social media networking. If you look at my graphics you'll see #maps, used to focus attention on all places where help is needed and #visualizations showing that many types of support are needed, in EACH PLACE, for many years. Building and sustaining public will is essential to that and aligns with the goals and strategies for achieving the SGD goals, too. 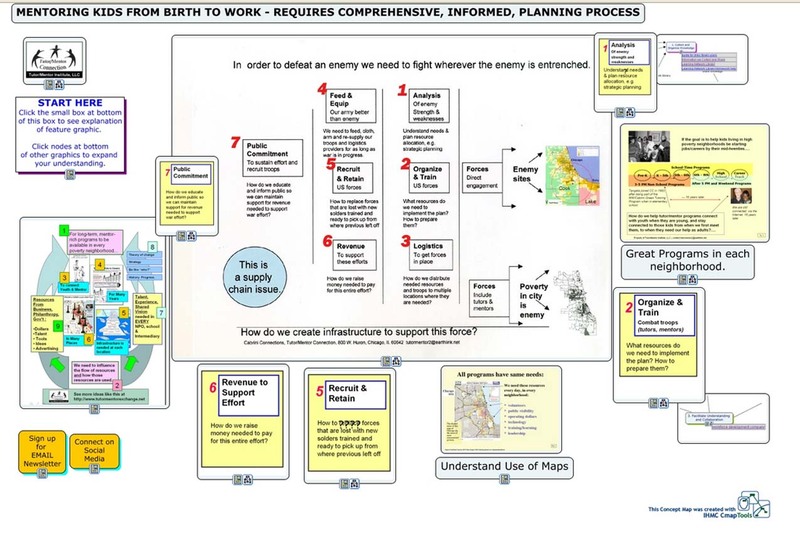 Below is a cMap that includes several visualizations, that show a focus on place (maps), process, and the need to build and sustain public will. Many people need to help make this happen. 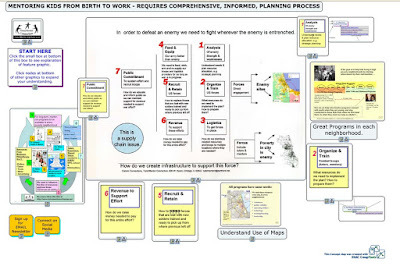 Visit this page and you can see how interns working with me in Chicago from 2005 to 2016 created visual interpretations of ideas I launched on blog posts and PDF presentations. Then, visit the glesi.org page shown in the screen shot above. You'll see that their first solution is "raise global awareness of the SDGs and solutions we already have". Then they show examples of raising awareness. If you follow #clmooc on Twitter or view the articles on the #clmooc home page, you'll see a constant encouragement to "hack" work started by one person to create something new. 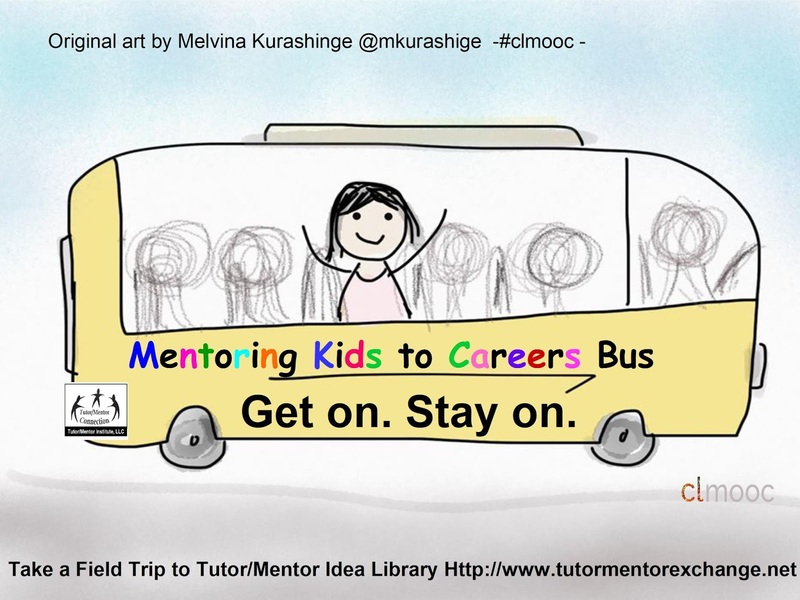 I did that with this school bus graphic, which was first created by Melvina Kurashige, who lives in Germany. 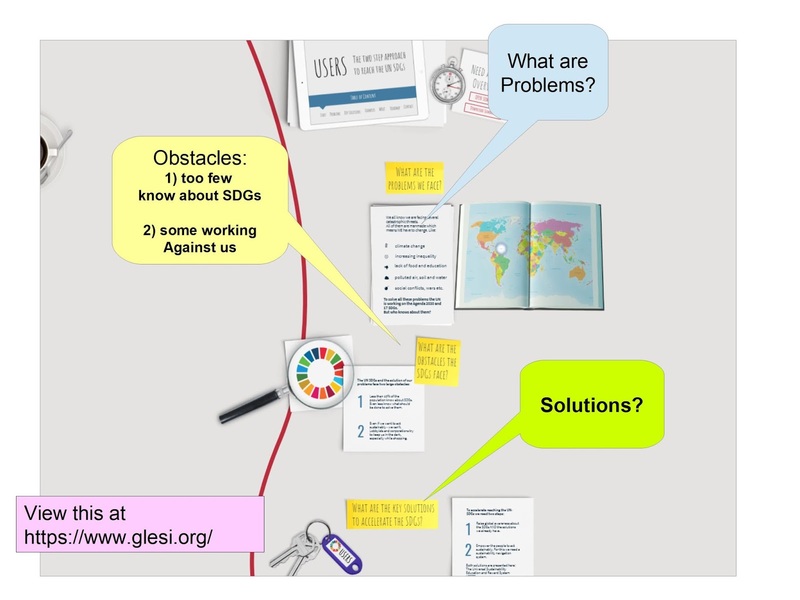 I also did it with the SDGs graphic shown above. 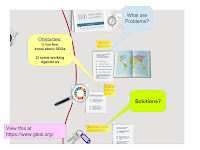 The school bus graphic is an invitation to others to "get on the bus" and create their own visualizations of problems and solutions. "Stay on" means that you need to do this over, and over, maybe for many years. 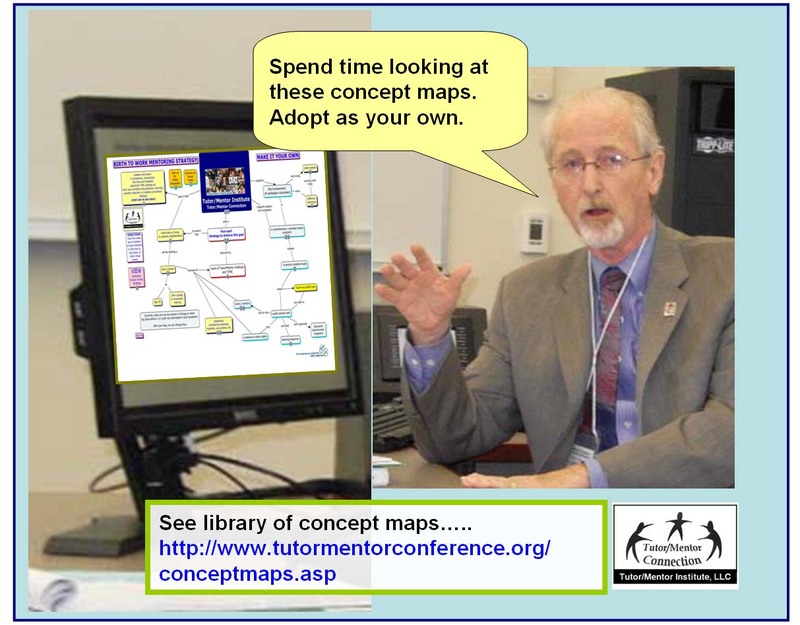 In many of the groups I follow (view the hashtag map), I'm connecting with educators, organizers of technology groups, youth program leaders and intermediaries who work with many organizations, which means that students in classrooms all over the world could be creating their own visual interpretations of what I and others are sharing, and communicating these to their world...every day! 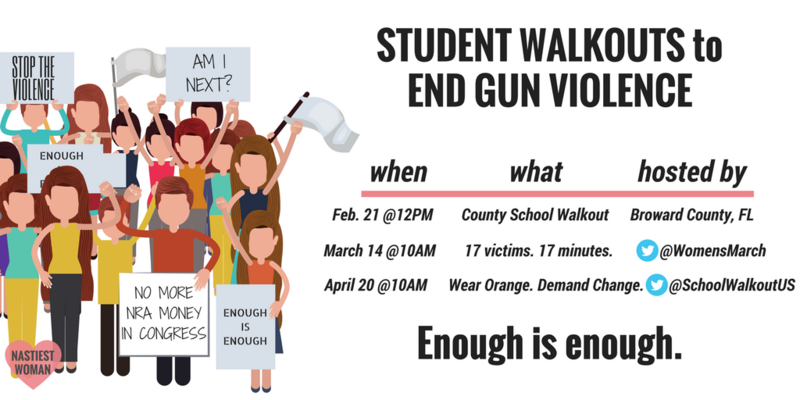 Imagine if students throughout the US and the world were creating strategy visualizations on a daily and weekly basis, drawing attention to a problem and showing paths to solutions. What if volunteers from different industries were helping them learn new ways to communicate ideas, or to build their skills? Or if they were following and learning from the same Twitter groups I follow? Maybe we'll see that in student efforts to reduce gun violence in America, which is represented in this Twitter post. I've created hundreds of visualizations since the mid 1990s. 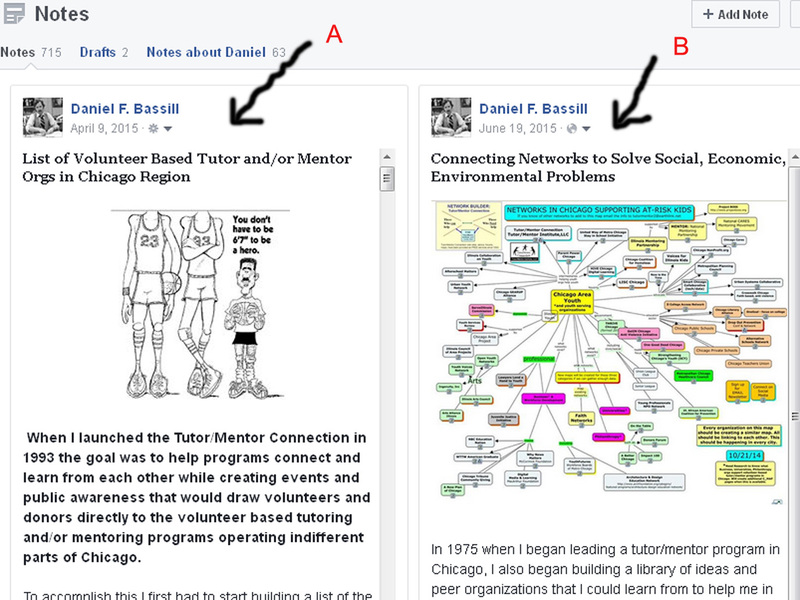 You can view some on my Pinterest page and others can be found by doing a Google search for "tutor/mentor". I've embedded graphics in more than 1000 blog articles since 2005 and in presentations on Scribd.com and Slideshare. I hope these are starting points for the work others do to draw attention and build solutions to the problems we face in this world. I hope some people will reach out to help me do these better, or to create their own interpretations. I signed up a couple of weeks ago to participate in this two week on-line course titled "Engagement in a time of Polarization", and my Twitter feed gave me some reminders today. So I looked at a video, read an article, added comments via Hypothesis, then saw this tweet by Christina Hendricks. Hi Christina. I think we first connected via ETMOOC a few years ago. I'm on Mastodon, too and I've seen some of your posts there. 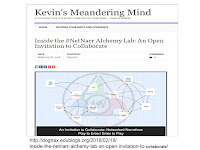 I agree with your comment about the potential of blogs to support deeper learning. I've been writing mine for over 10 years, with the same overall goal of connecting people and ideas that support the growth of non-school tutor, mentor, learning programs in high poverty areas. I see three levels of engagement. 1. Current social media, or the stream and flow (Clay Shirky wrote about this). We dip in and out of the stream. We add to it. We draw from it. We ignore much of it. We miss the majority of what's there due to limited time on-line and limited connections in our networks. It may be that we're now missing much due to how social media platform algorithms determine who sees our posts and who we see. 2. Blog posts - these enable anyone to comment in greater depth about what they are seeing on social media, traditional media as well as from events and meetings they host or participate in. They allow us to share work we're doing in real life, in schools, non-school, programs, feeding the hungry, resisting, etc. Using hyperlinks, they enable us to connect our readers to a much deeper and extensive library of information. 3. The world wide library - curated collections. This to me is critically important. While a Google search can lead you to information posted anywhere in the world, you need to know what you're looking for to find it in the first 10 to 20 links that show up as a search result. Many people may now know what they are looking for. 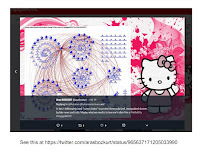 Thus if someone is building a web library with information related to a topic (such as the references posted on articles with the #engageMOOC), then anyone can be pointed to that library at any time via hyperlinks in a blog article or via hypelinks attached to a post on one of the social media platforms. This means anyone can pick out a video, article, piece of research, blog post, etc. and gather friends, co-workers, etc. to read, reflect, discuss, and over time integrate into their understanding of a situation and ways they might respond to it. As you wrote above, fewer people seem to be commenting on blog posts. From my Google Analytics, fewer people are viewing these. It may be that no one likes what I'm writing, but I think it's more the result of so many people posting on different platforms and much fewer people taking time to read and reflect on what other people are writing. Thus, as we go through #engageMOOC and beyond I look forward to finding ways to draw more people from the stream and into the deep end of learning, and to how that helps us understand and try to solve some of the many complex problems we face in our local-global lives. 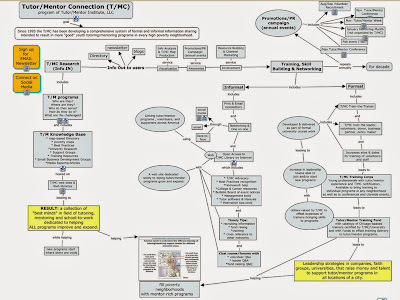 Note: I invite you to review eLearning goals that the Tutor/Mentor Connection first posted in 2004 when we worked with IUPUI on our first on-line conference. I was never able to find funding, or partners, to fully develop this strategy. Do They Give Olympic Gold Medals for Ending Poverty? I posted an article with this headline in 2007. Since the 2018 Winter Olympics have just started, it's time for an update. When I wrote my 2007 article Chicago had just won the right to compete with other cities around the world to host the 2016 Olympics (later they lost the bid). I asked, "What do these cities have in common with Chicago?" They all have neighborhoods with high concentrations of poverty and disenfranchised youth. They are all seeking ways to prepare their youth for 21st century jobs and careers. So I proposed that a Gold Medal competition be established to see which city can do the most each year from 2007 until 2016 to build comprehensive, volunteer-based tutor/mentor programs in all of their high poverty neighborhoods, which are funded by the businesses who will get rich off of the Olympics, and who also are pointing fingers at public education because it's not doing enough to prepare low income youth for 21st century jobs and careers. 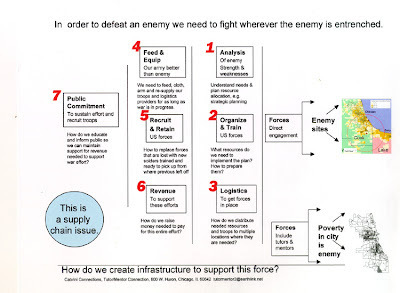 Read "Planning Steps-War on Poverty"
I suggested that there could be one winner each year from 2007 till 2016 and a grand prize winner at the 2016 Olympics. I also suggested, "Maybe this will become a tradition and will continue until the 2116 Olympics. What would the world look like then as a result of such a focused effort in cities all over the world?" Finally, I wrote "I just wish as many smart and powerful people in Chicago were focusing on the goals of the Tutor/Mentor Connection, as are focusing on getting the Olympic bid." 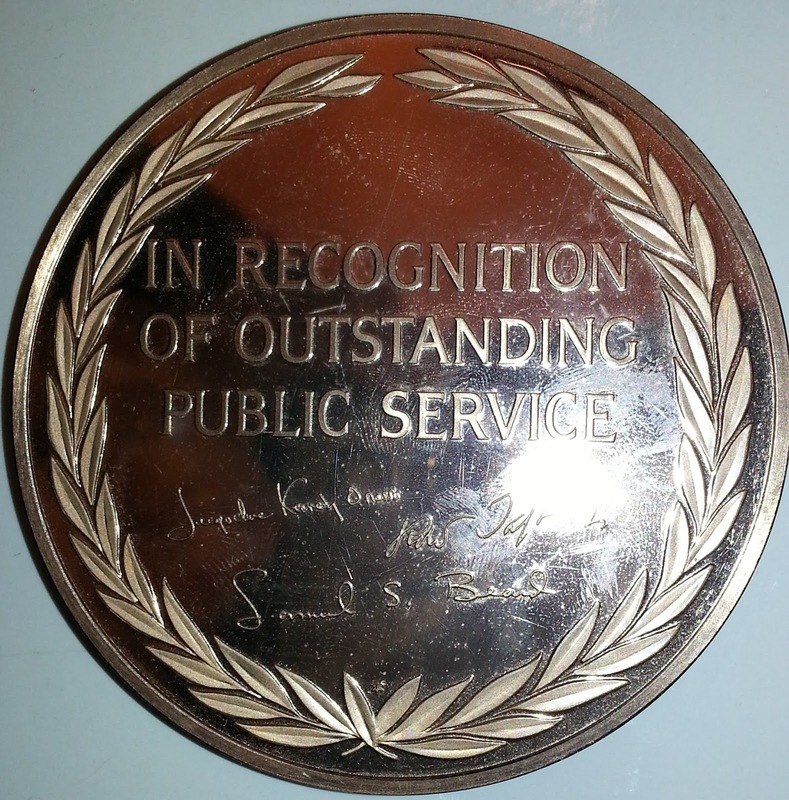 Where do you start learning about ways to compete for this award? 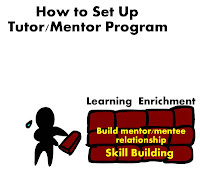 Visit the Tutor/Mentor Institute, LLC web site and begin to use the links and forums for your own learning and collaboration. You can even take a leadership role now, by using your blogs and your own media and web sites, to point your customers to meeting places where these ideas are being discussed, on-line and face-2-face. I concluded: "So far there is no Olympic Medal for Best City in ending Poverty." That is still true in 2018. If you'd like to become a sponsor and partner to create such an award, email tutormentor2@earthlink.net, or connect with me on one of these social media sites. Note: one outcome of lack of support for this strategy, and the recession that started in 2007-8 was that the Tutor/Mentor Connection (T/MC) strategy was discontinued in the non-profit where it originated in 1993. I created the Tutor/Mentor Institue, LLC in 2011 to try to find new sources of revenue to keep the T/MC alive in Chicago and to help similar intermediary organizations grow in other cities. 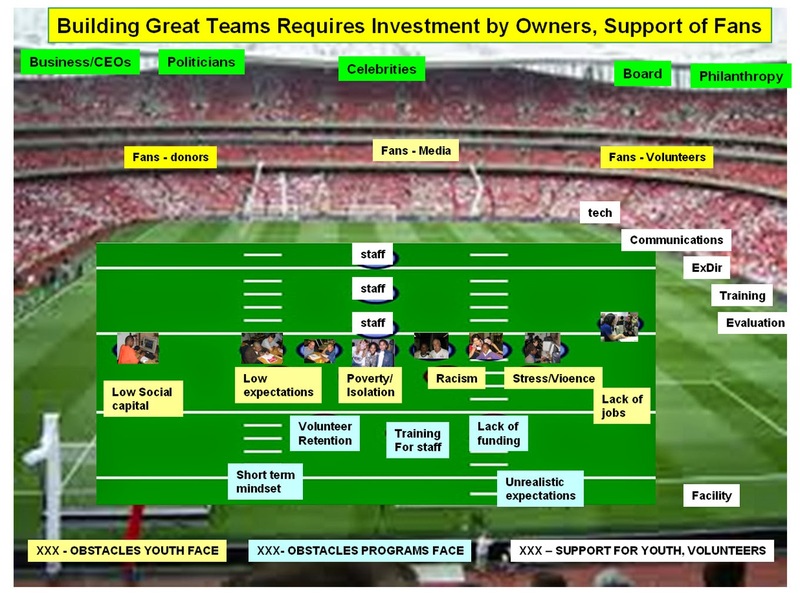 Building Great Youth Development Teams - Like Building winning Super Bowl team. I've posted versions of this article in the past. the Super Bowl just ended and the Winter Olympics are set to begin. Baseball spring training starts in two weeks. Millions of eyeballs are focused on these sports, spending three to 10 hours or more a week watching the games. Every team's players have spent many years building their skills and have mastered thick and thin playbooks that show what they need to do to be winning teams. Coaches have been doing chalk-board talks and using "x" and "o" diagrams to outline innovative strategies (like that Eagles' touchdown at the end of the first half of last night's game). Click on the graphic above to enlarge it. Look at how fans, owners, investors and others help great sports teams become great, and stay great. 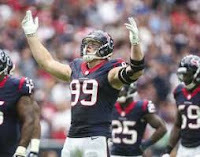 Yesterday J.J. Watt of the Houston Texans was honored by the NFL for raising more than $10 million for flood relief in Texas after the 2017 floods. This is a great example of the power of celebrities to mobilize resources following a disaster of huge magnitude. I've seen similar efforts focused on helping a single child suffering from a disease or personal difficulty. Think of how many more people would be thinking and acting differently if you found images like on the T/MC search when you looked up the Olympics, football, baseball and/or basketball players and teams, or TV, Movie and/or Music celebrities. As you watched the Super Bowl or will be watching the Olympics and then Major League basedball this week and in coming weeks, spend some time looking at the ideas I've been sharing and then think of ways to enlist sports teams and fans in this strategy. Take time to share this message on social media and via your own blogs or videos. A couple of days ago one of my #clmooc friends posted a link showing Wakelet as a possible replacement for Storify in archiving Twitter chats, using #hashtags as reference points. I tried it out and I included a graphic, and a link, below to show my collection. However, for discussion purposes, below are two Wakelet collections that shows my contributions to the November 2017 #mapvember project, which focused on creations using maps. I used #clmooc #mapvember and @tutormentorteam as the range of Tweets to look at. Next, I created a second Wakelet, this time omitting @tutormentorteam and only using #clmooc and #mapvember. You can see that this results in a much wider range of Tweets contributed by educators from different parts of the US and the world. Below is my home page on Wakelet, showing five hashtag collections that I harvested in just a few minutes time on Friday and today. On each of the Wakelet collections your first click takes you to a cover page. 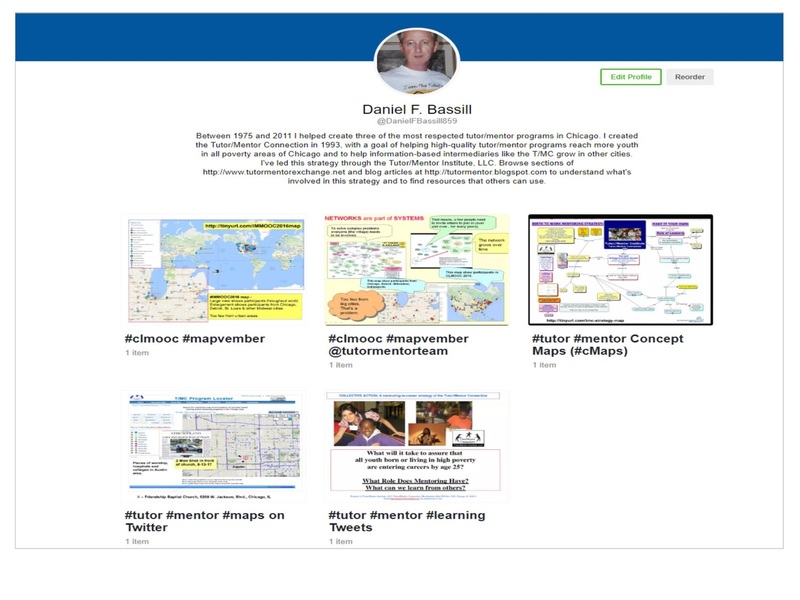 Under the text box describing the collection is another box, with a link to the Twitter page that you created by doing the search, such as #tutor #mentor #mapvember. It's a live page, so if you click on "latest" you'll see post added even after the Wakelet was created. This can be useful if you want to show people specific collections of information on Twitter, or point people to ideas you've been consistently sharing for months, or even years. 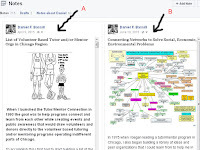 I wonder if donors, or potential partners of Tutor/Mentor Institute, LLC will build a greater understanding of what I've been trying to do by seeing on on-going flow of posts focused on specific topics? Note. You can also use TweetDeck to follow specific sets of #hashtags, such as #clmooc #mapvember @tutormentorteam, however, I don't see an easy way to share those to a blog or Twitter the way you can with Wakelet. Another Note. I'm just learning about this. I will be looking at how people from #clmooc transfer archived Storify files to Wakelet. You can follow this too. Just open the Wakelet site and look around. Thus far, it's free. I hope it stays that way. If you find this interesting, or look at the Wakelets I've posted, and value my work, please go to this page and make a small contribution to help me continue doing this work.